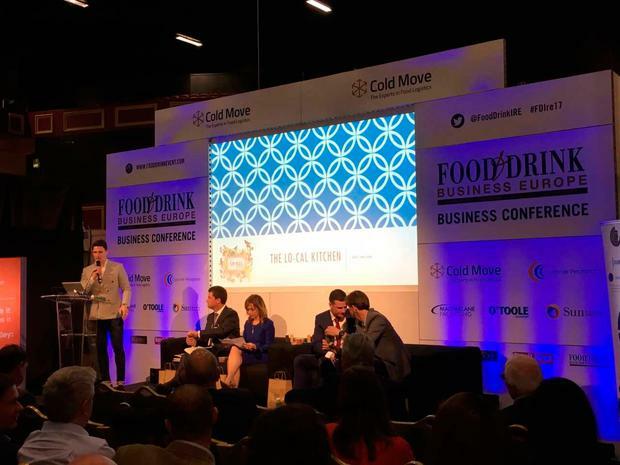 An organic food start up with ambition to connect soil health to food has walked away with the top prize at the Lion's Den competition at Dublin's Citywest Convention Centre. Anu Dairy won the 'Lion's Den' competition at the pitching event which took place for the second year running. 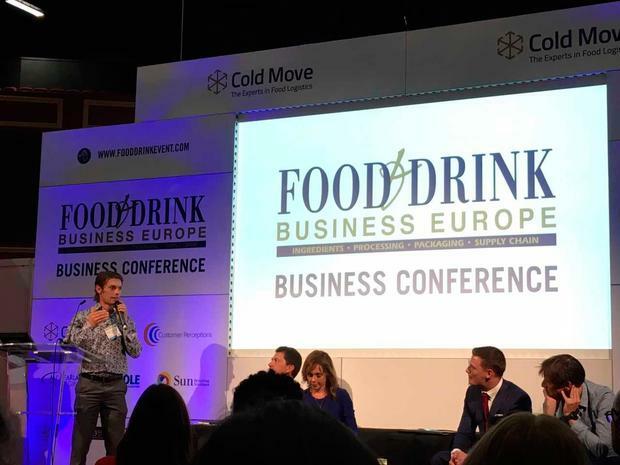 Four export ready firms were each given ten minutes to impress the panel of judges made up of well known business leaders. 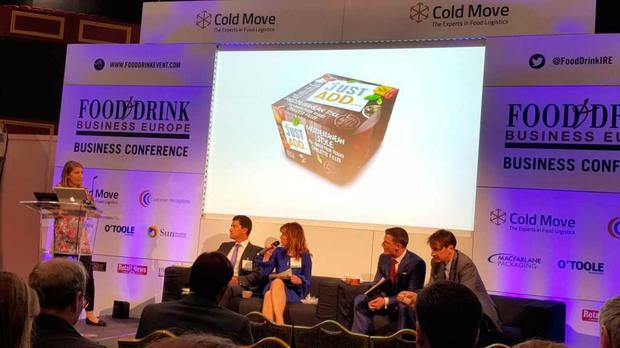 These included Head of Operations at Applegreen Conor Lucey, Dragon's Den investor Alison Cowzer, co-founder of Freshly Chopped Brian Lee and Cully & Sully's Colm O'Sullivan. 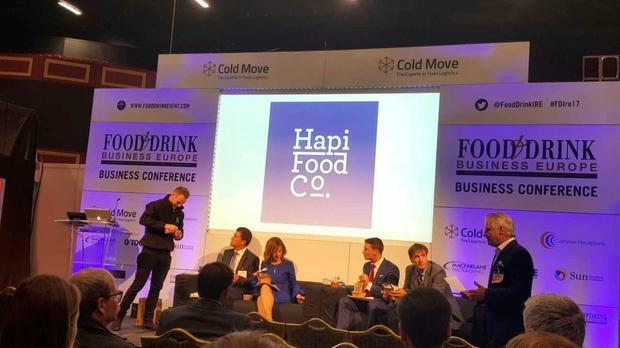 The four competitors vying for the win, a prize worth over €5,000, which includes a free exhibition stand at the International Food and Drink Event (IFE), were The Lo-cal Juicing co., Just Add, Anu Dairy and Hapi Food Co.
"To be fair the other teams were fantastic and they were far ahead of us in terms of domestic sales but our company is based on export. So we've had to invest time into seeing how the export works and to see if we can get it to scale. If we can't get it to scale, it's not a runner," he said. "Getting in front of people like this, who are in the industry and can ask me questions, that's really key as they know what they're doing. If they ask me a question and I can't answer, I'll go away and ask why can't I answer it." 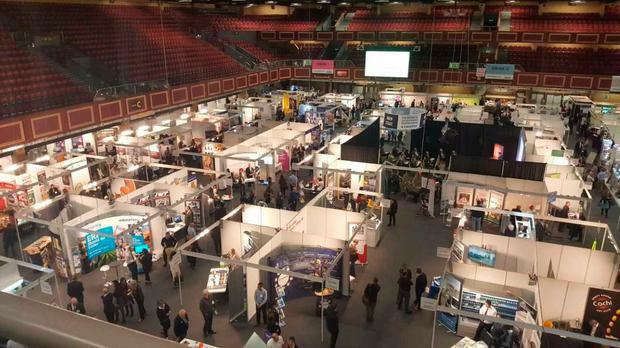 Some 3,000 delegates are attending over the course of the day at the 4th National Food and Drink Conference, joining 200 speakers and 170 exhibitors at the annual event, where over 20 conferences are taking place.